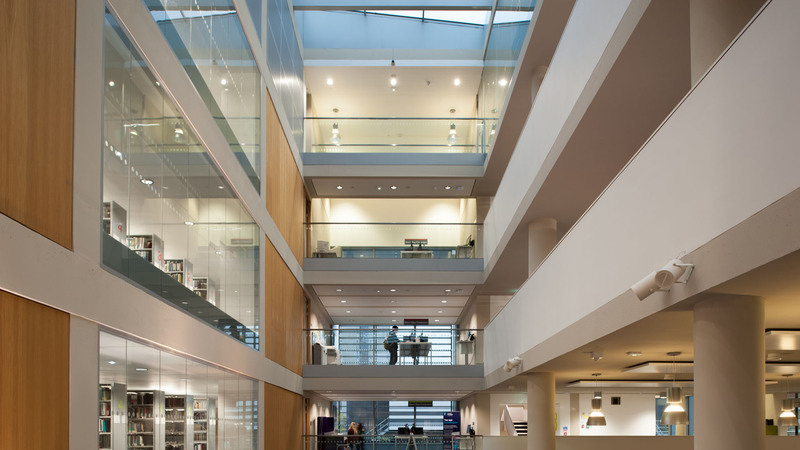 In September 2013 we were awarded the first-ever UK prize for architectural acoustic design. 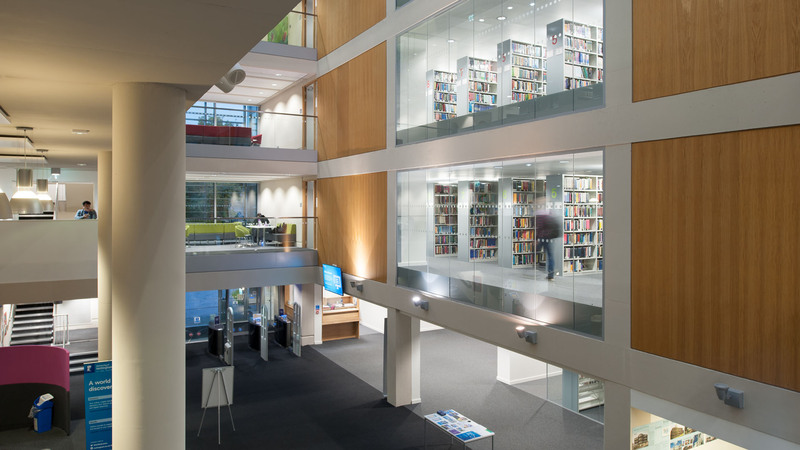 This was for our work with Hopkins Architects on the University of East London’s new Stratford Campus Library. 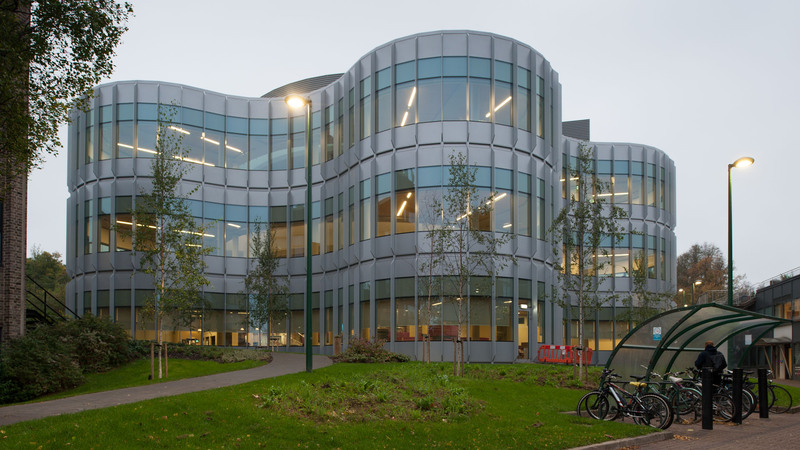 Following on from this we were invited to work with the same architects on the George Green Engineering and Science Library at the University of Nottingham. The scheme entailed a new extension and remodelling works to a 1960’s concrete framed building. The project was divided into two phases so that the Library could remain in use throughout the construction process. 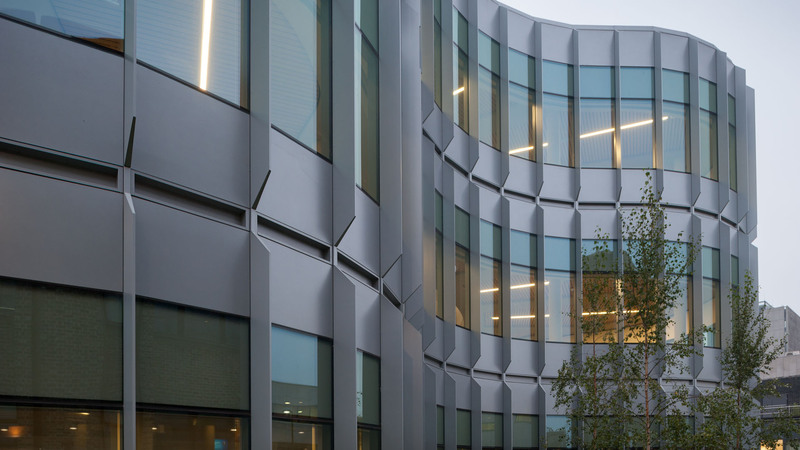 Phase 1 created a new curved extension accommodating a large social study area, cafeteria and foyer area on the ground floor, overlooked on the upper floors by extensive open-plan reader study areas. We used 3-D computer modelling to investigate the effect of different acoustic treatments on noise levels and propagation between areas. Working closely with the architects and engineers we developed bespoke solutions to incorporate the acoustic treatments into the architectural scheme. 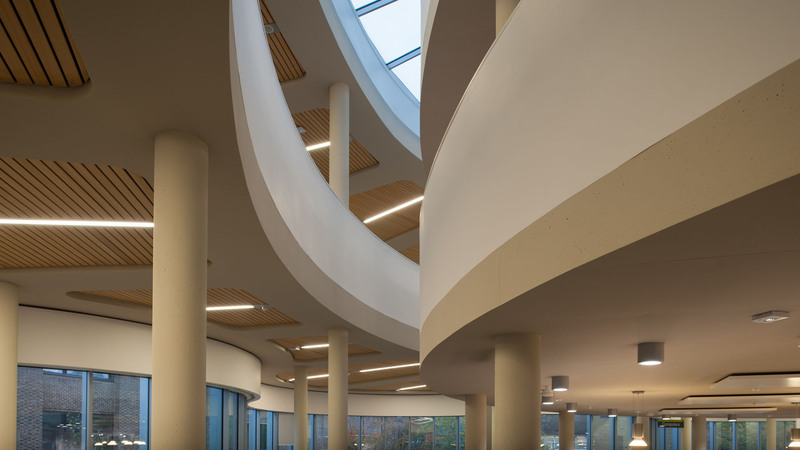 The chosen solution entailed large areas of slatted timber over acoustically absorbent material, all set into specially designed recesses cast into the reinforced concrete soffits. 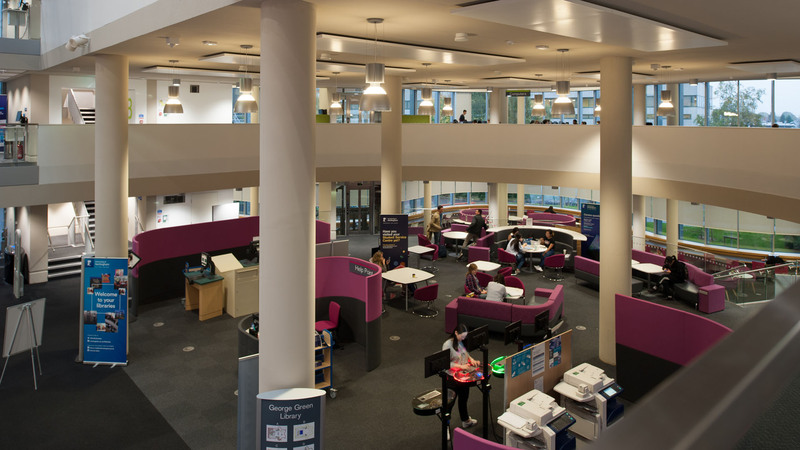 Once the new extension was complete, the University decamped from the original building into the new extension which allowed the contractor to progress to Phase 2 of the scheme. This entailed stripping the building back to the structural frame, enabling necessary repairs to the reinforced concrete. 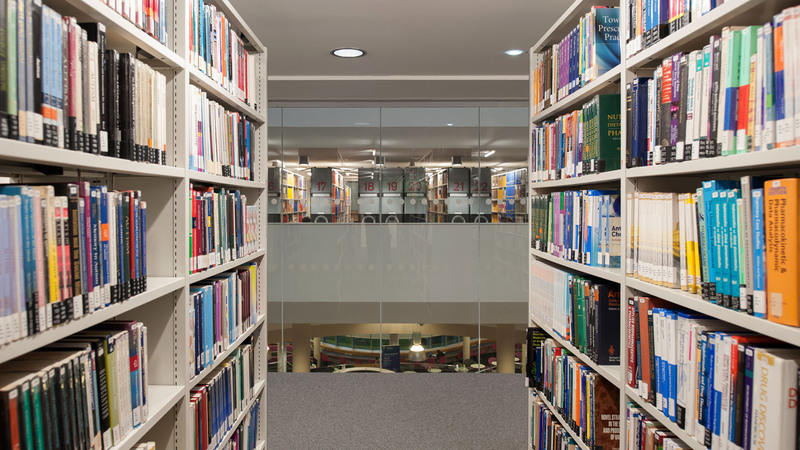 The building was then reclad, remodelled and fully refurbished to provide a large number of cellular teaching and study spaces, along with extensive storage for reference materials. All areas were designed to demanding acoustic standards for sound insulation, ambient noise and room acoustics, and all of the design targets were achieved on commissioning. The building won the RIBA East Midlands Sustainability Award 2017.